KEN YUSZKUS/Staff photo. 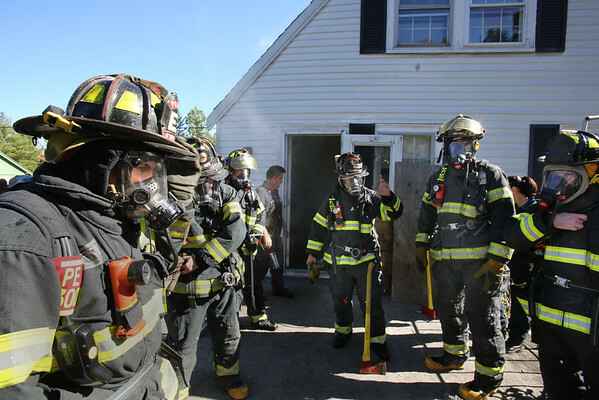 The house at 75 Prospect Street in Peabody was where the fire department conducted a training demonstration with firefighters on the department's new pumper truck and breathing apparatus. 10/15/15.